We have pizza night at least once a week at our house. I love pizza night because nobody complains about it! 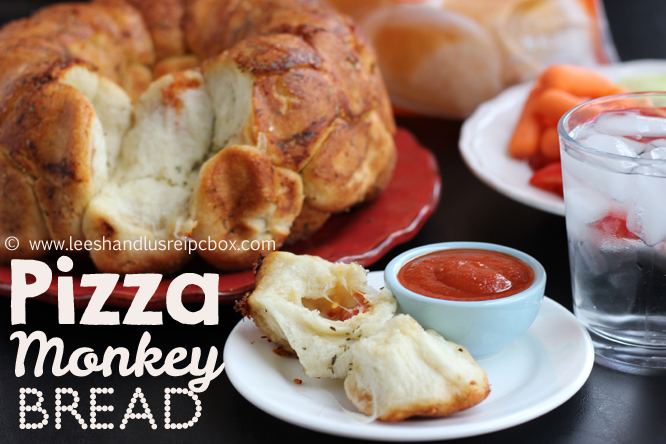 This pizza monkey bread was a fun way to change things up and the kids loved helping stuff the pizza rolls. 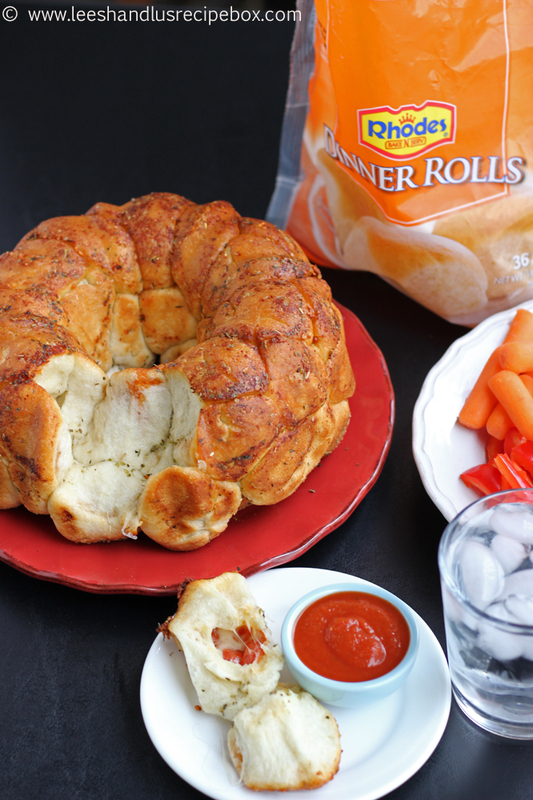 Entertainment + dinner prep? I call that a win. 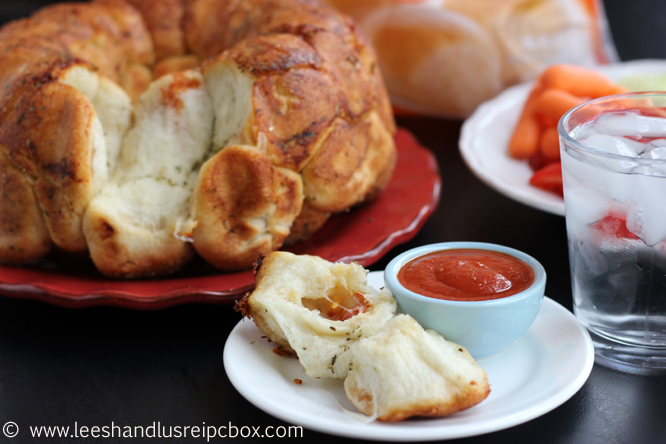 We are sharing the recipe over on the Rhodes rolls blog today, so head over there for the printable!